No airing any dirty laundry here. 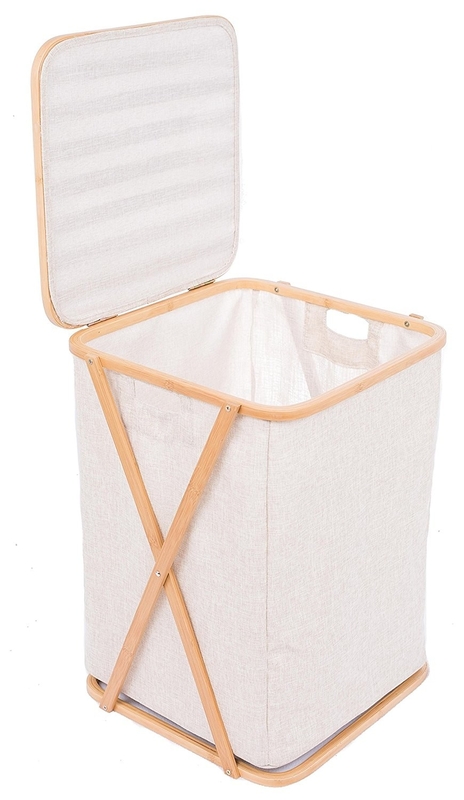 I love this simple bamboo hamper more than any piece of Ikea furniture in my room. It’s understated and doesn’t feel mass-produced. Really what more could you want from your laundry depository? I think I was 27 before I finally began to invest any real time or money in beautifying my living space. It’s not that I hadn’t considered home decor before — but rather that I was too poor to do much about these considerations. One day, though, I blinked, found myself in my late twenties, and decided it was now or never. Anyone can get a gorgeous mirror or an intricate bed frame, but as I slowly pieced together a bedroom that made me feel at home, it was the more utilitarian items that were harder to find. Living in New York it’s no surprise that my bedroom lacked the elusive closet. I easily remedied the problem with a standalone wardrobe, though I was left with other issues. Namely the pile of dirty clothes living in an Ikea bag in the corner of my room. 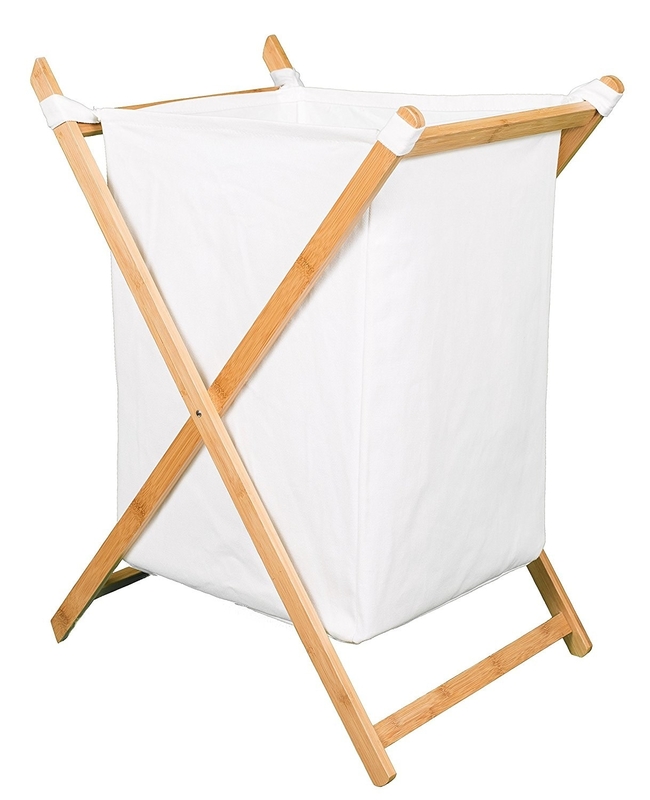 My college years featured a string of flimsy foldable hampers from Target, so as to facilitate the lugging of the laundry to the washing machine in the basement. It hadn’t really occurred to me that the temporary home of my B.O.-riddled clothing could be anything but an eyesore. But there you go proving me wrong again, Amazon. There are no bells nor whistles, and honestly I don’t have much to say about this hamper other than I think it’s super cute. I’m not a fan of wicker as it can read either granny or beachy, and other basic solutions seemed just that: too basic. This guy brings a little vintage utilitarian flare to my room while also keeping things neat and tidy. So there you have it. Hide your unmentionables in this cute hamper from Amazon for $29.99.